The Greek prime minister says a new agreement to extend the country’s bailout voids the previous administration’s austerity commitments. The politician said, “we won the battle, but not the war,” but believes further difficulties lie ahead. Alexis Tsipras made the comments in a televised statement on Saturday. He spoke of the “important success” of Greece being able to negotiate a funding agreement with eurozone ministers, which will see the bailout extended by four months. The PM hailed this as, “the end of austerity and the bailout,” as Athens was able to severe ties with the ‘hated’ Troika group, which was responsible for making sure the country stuck to its bailout conditions and repay its international creditors. One must believe @BILD's tall stories (about us Greeks) at one's peril. ``We won a battle, but not the war. The difficulties lie ahead of us,'' he said, following an agreement to draft a new set of proposals and reform measures on how the country will pay back its debt, which it will have to present on Monday. Greek Prime Minister Tsipras is meeting with his cabinet on Saturday to discuss the proposals. “The four-month period will be a time to rebuild new relations with Europe and the IMF," Greek Finance Minister Yanis Varoufakis told reporters on Friday following the agreement. "Greece has turned the page" and won some time to negotiate a better bailout deal, the official said, emphasizing that Greece had not used any threats or bluffs to reach an interim agreement. For its part, EU creditors have insisted that Greece make a commitment to reform its budget to show it is serious about wanting to pay back the bailout money. Athens had originally asked for the loan to be extended by six months to get more time to renegotiate its €316 billion debt ($359 billion). Although Athens believes itself to be triumphant and sees this as the end of austerity, it could in fact be seen as a hollow victory. In reality little has changed and Greece is still facing a lot of difficulties after receiving very few concessions. Thus, the Troika group will be no more, but the European Central Bank, the International Monetary Fund and the European Union (who used to make up the Troika) will still make sure Greece sticks to its promises. In the short term, however, this may be enough for Prime Minister Tsipras and Finance Minister Varoufakis to please the Greek electorate on a ticket of being able to halt deeply unpopular austerity measures that were agreed under the former government of Antonis Samaras, and saw taxes and public spending cuts spiking. 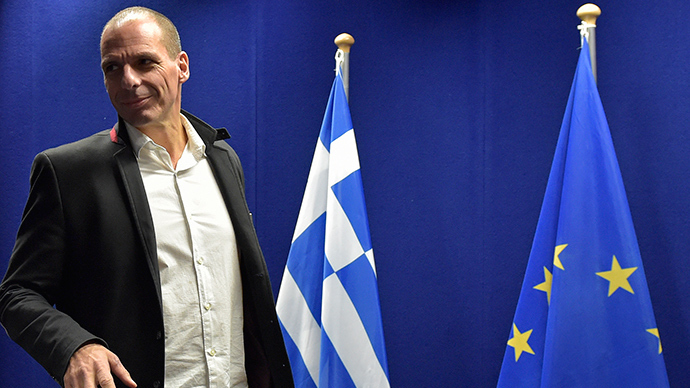 Varoufakis has been committed to stopping privatization of certain Greek state enterprises. He also said there would be no pension cuts and added VAT, which had been agreed by the previous administration. Critics of Syriza note the government does not know where it will find the money to fund these programs. On February 15, around 20,000 protesters gathered outside the parliament building in the Greek capital for an anti-austerity, pro-government demonstration. "We want justice here and now...for all the suffering Greece has gone through the past five years," 58-year-old Theodora, who has been unemployed for the last three years, told AFP. Many of the protestors showered Prime Minister Tsipras and the new government with praise for challenging Brussels, and trying to end austerity measures, which have crippled the country.